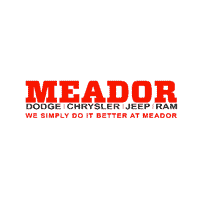 At Meador Dodge Chrysler Jeep Ram in Fort Worth, TX ‐ serving Arlington, Rockwall, and Duncanville ‐ you can get expert advice on new auto loans and used car financing, so you can drive home the vehicle of your dreams. We help you find the right car loan to fit your budget by providing high-quality lenders with a variety of options. Our financial center works with more local lenders than the typical bank, so you can be sure you’re getting the best options in your area. Our financial experts can work with your budget, our current finance specials, and our available lenders to create your ideal payment plan. If you’re in the military or require mobility equipment, you can see if you meet the requirements for our military bonus cash offer or our automobility program. Both of these help you save on your new vehicle and feel more satisfied with your choice. Our website has an online finance application that can help you jumpstart your car buying process. You’ll also find the free online tools that let you calculate estimated payments, get a quick quote on a new model, and get a KBB Instant Cash Offer on your trade-in vehicle. If you have any questions about the financial process, call or visit the dealership to speak with one of our specialists.